Dies R Us: Those "Pesky" Guy Cards! 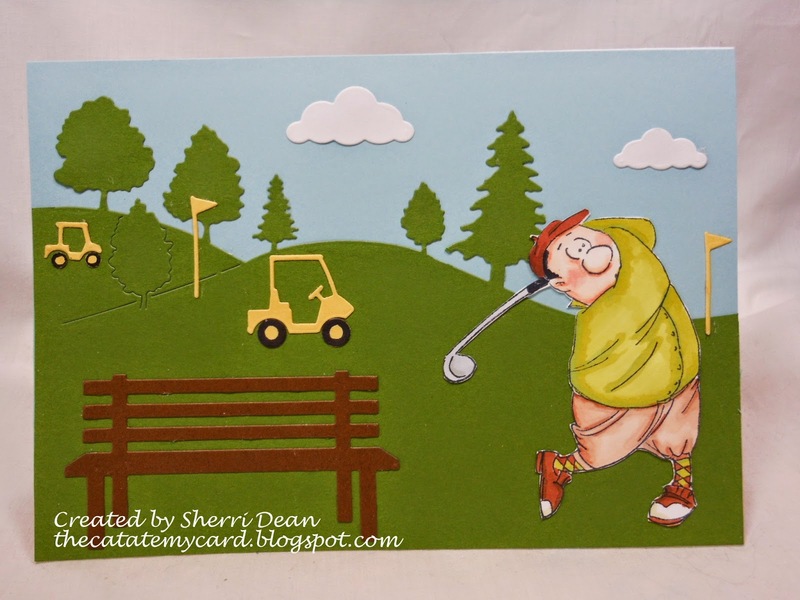 With spring in the air & the grass turning green in some areas of the country, this is a perfect time to share one of those "pesky" guy cards that we all struggle with! If you are like me, you would rather make 10 cards to go to a gal than one card to go to a guy! Finding something that will impress a guy is just not easy, but I think this card may be the answer! By the way, the Tattered Lace Panarama Tree Silhouette comes with TWO tree lines! I only used one for this scene, but I think you are probably already thinking about all the scenes YOU can create with them! Be sure to check out the Dies R Us store for all the amazing dies in stock! If we are ever out of the one you want, just add your name to the wait list & you will be notified once it is back in stock. Don't forget to join in the Dies R Us Challenge for a chance to win a gift card too! New challenges begin on the first & fifteenth of each month. Until next week, have a fantastic week!